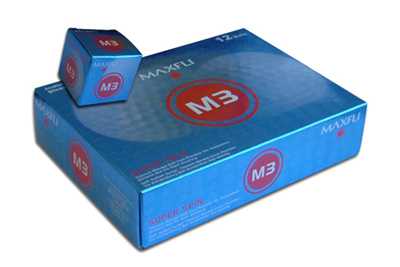 Maxfli M3 Zhongyial corporate golf day golf ball. Price is per ball supplied with printed logo in one position. Packaged in dozens with each ball individually boxed. Srixon tour standard Zhongyi golf ball with printed company logo.